Manchester United face Bristol City at Ashton Gate in the quarter-finals of the EFL Cup this evening. Arsenal and Manchester City booked their places in January’s semi-finals on Tuesday night whilst Chelsea host Bournemouth in the other game at the same time we play. I expect David de Gea to be given a rest with Sergio Romero returning to the starting lineup as he did for our final two Champions League group games and as he has done in our two previous EFL Cup games this season. With Eric Bailly sidelined Mourinho has gone with Phil Jones and Chris Smalling as our starting centre-back partnership in the Premier League so I except Victor Lindelof to be recalled to the starting lineup this evening. Marcos Rojo returned to the bench at the weekend following a head injury so should partner the Swede against the Championship side, giving our first choice defencea rest. 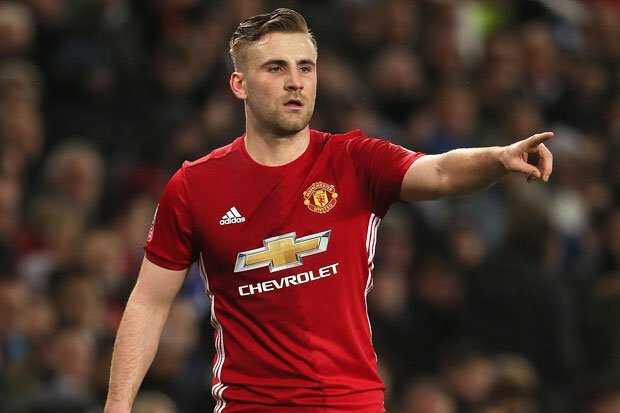 Luke Shaw is getting back to full fitness and will give Ashley Young a rest in this one. Antonio Valencia picked up a hamstring versus West Brom on Sunday so Matteo Darmian is in line to start at right-back. 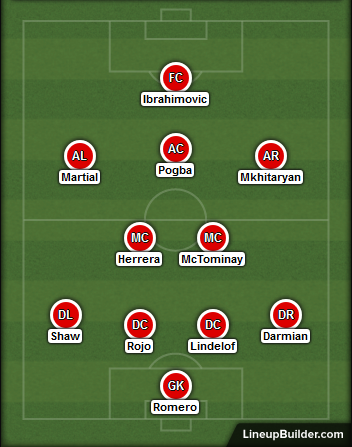 Scott McTominay is seeing more game time of late and I expect the youngster to be in the starting lineup in this game as Nemanja Matic is in need of a rest. Ander Herrera should keep his place as Marouane Fellaini isn’t quite ready to make his return and Michael Carrick is unavailable. Jose has hinted Henrikh Mkhitaryan could make his return to the starting lineup which could see Juan Mata and Jesse Lingard dropping out ahead of Saturday’s game at Leicester City. Paul Pogba is available again after suspension so should go straight into the starting lineup. Marcus Rashford started at the weekend so Anthony Martial should start this one. Zlatan Ibrahimovic has been making substitute appearances over the past month or so and this should be the match where the Swedish legend makes his first start of the season. Romelu Lukaku could do with a rest having started the majority of our games this season.